Criminon New Life DC has been providing its uniquely successful programs inside the Washington, DC Department of Corrections Central Detention Facility and the Correctional Treatment Facility for over 13 years, and before that inside the now closed Lorton Prison. We have also delivered rehabilitation services to local juvenile, probation and reentry personnel in DC. We have taught thousands of inmates and reentry individuals who have returned to their communities as more ethical and productive citizens, willing to contribute. Yet there is still a tremendous amount to be done, including judicial reform that supports rehabilitation and correction. To ensure you receive a receipt for your tax-deductable donation please checkmark the box at the secure PayPal website that says: "Share your mailing address with Criminon New Life DC." . 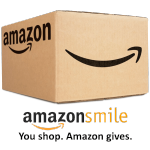 When you shop at smile.amazon.com select Criminon New Life DC as your charitable organization* and Amazon will donate .05% of the price of your eligible AmazonSmile purchase to support our programs. Criminon New Life DC is a non-profit 501(c)(3) corporation. All donations to Criminon New Life DC are tax-deductible for US citizens. Criminon New Life DC does not retain your credit card/debit card numbers or PayPal account information.